Today I am reading newsletters written by Channel Island people who had emigrated to Canada before WW2. During WW2 they raised funds for the Guernsey evacuees in England. They worked so very hard to send money and clothes to the evacuee children and later to the Guernsey people who were deported to Germany. Very inspiring! For the past two days I have been reading diaries written by Guernsey teachers who led their evacuated schools over to England. The dedication that they showed to their pupils was amazing. The teachers who re established their schools in England not only taught the children but took responsibility for their accommodation, health and welfare, and their careers when they left school at the age of 14. They could not contact the children’s parents who were trapped in occupied Guernsey, so had many decisions to make on behalf of the children. May have to dedicate a whole chapter of my book to one of these schools as that particular diary is so detailed! For the next 3 days I am reading archive material about an elderly Manchester gentleman who raised thousands of pounds in order that 300 of the Channel Island children could have a Christmas parcel each year. He was 72 when he began his fundraising, and for 5 years he obtained donations from all over the world! I managed to locate his grandson and we had a lovely meeting. My aim is to tie his memories of his Grandfather to the archive documents, to obtain the full story of Mr Fletcher’s remarkable achievements, for my book and for the local press. Have been reading personal stories today from evacuees whose pets were put to sleep just prior to the evacuation. Very upsetting but it will have to be included in my book. Some husbands decided not to evacuate, partly to look after their property but also to avoid having to have their working horses put to sleep. Back to writing my book now whilst I am feeling inspired! More in a day or two. This week I have begun to read the unpublished personal diary of a Guernsey Mother who was evacuated to Cheshire. She also pasted lots of other items into her diary during the war; handmade Christmas cards that she received, cinema tickets, poems, sketches, theatre brochures and photographs. It really gives an insight into her life as an evacuee during the war. She also includes a number of newspaper cuttings about the progress of the war. What a treasure trove this is! Just transcribed the most amazing interview with a Guernsey lady. She left the island at the age of 16, and whilst she was in England, she built Wellington bombers, became one of the first female engine fitters in the WAAF, then undertook Top Secret work on ‘Operation Overlord’ on the lead up to D Day. What a lady! This is definitely going into my book in the ‘British War work’ section! Have spent the last day or so reading wartime diaries/letters of Guernsey women who were offered houses, shops and flats in England that were unfit for human habitation. They also were sexually discriminated against – local officials wouldnt allow them, as women with husbands trapped in Guernsey, to rent properties. Only women whose husbands were in the Forces could rent property. 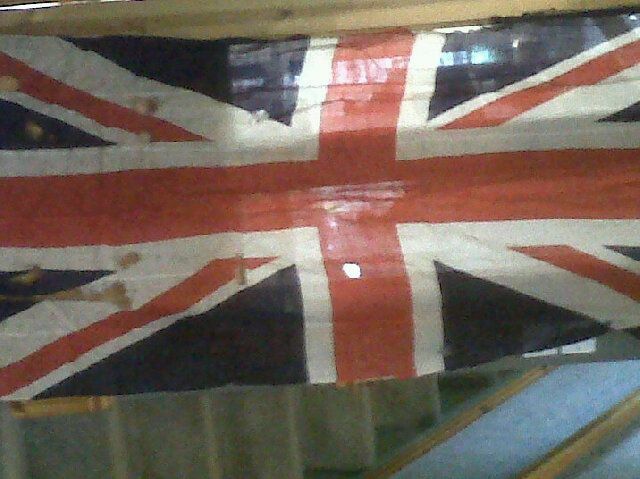 How they coped for 5 years in England, I will never know. I have met several of them recently, they are all in their mid to late 90s, and they are wonderful ladies!! It will be an honour to record their words in my book. Just re reading my interview with a family that evacuated from Guernsey to Lancashire in 1940. The husband and wife were given a house that was in a terrible state. During air raids, they would go into the cellar where they both stood, knee deep in water, for hours on end, passing their baby to and from each other to keep her dry. I have been looking through the Red Cross letters that were sent between England and Guernsey during the war. They were the evacuees’ only form of contact with their families in German occupied Guernsey for five years. The letters were censored by German authorities in Europe during transit. The first letters, sent from England in November 1940, could only contain 10 words, but this was increased later to 25 words. It was so hard for people to put their thoughts and feelings into such a short message to their family. 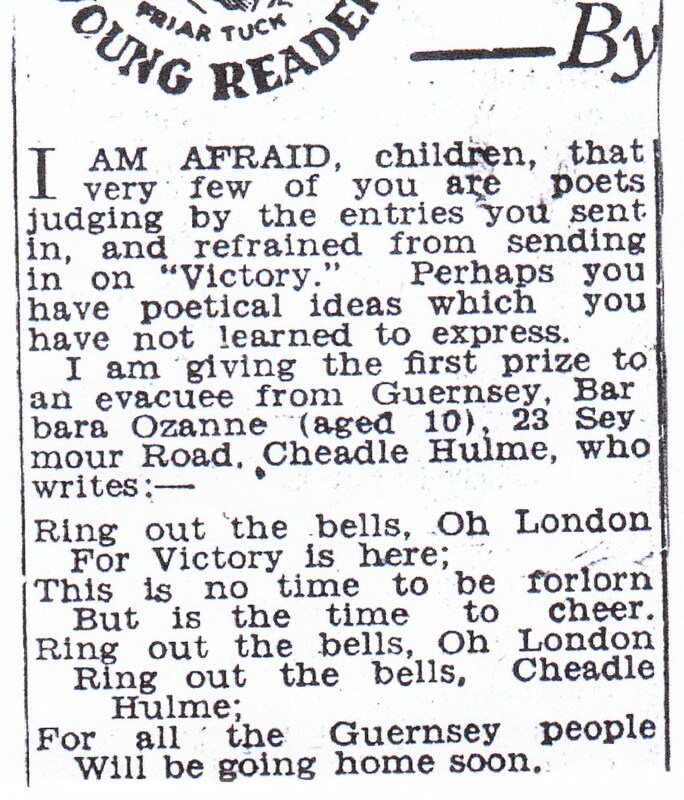 I have just discovered a Manchester press cutting dated March 1941 which explains the delight of the Guernsey evacuees in the Manchester area as replies began to arrive to the messages they had sent to Guernsey in November 1940. One lady who was evacuated to Stockport told me that she remembers crying as she opened the envelope, to discover that her husband and son were fine and well, but that her aunt had passed away. Are you one of these children, evacuated on The Viking? Please contact me if so! I spoke to an evacuee the other day whose family left London in February 1940 in order to escape the war; the father set up a farm in Guernsey and things seemed to be going really well. Then in June 1940, as the threat of German invasion grew, the family had to evacuate back to England once more. I read a sad entry in Guernsey Headmaster Mr Martel’s diary today, which he wrote a few months after his Guernsey school was re established in Cheshire. Photographers were touring around all the schools offering to take photographs of evacuated children, probably quite a lucrative business in late 1940. Have spent the day reading through stories of Guernsey people who undertook war work, they joined the forces, the Home Guard, the ARP, made ammunition in factories, and joined the Fire Brigade, the list is endless. Children played their part too, packing Red Cross parcels and collecting salvage. One Guernsey school grew 6 pounds of tomatoes and contributed them as a raffle prize for War Weapons Week! This subject needs a chapter of its own in my book, but I can only spare it a few pages. Today I also chose the image for the front cover of my book, and a draft title – I will see a mock up of the cover in a few days time, very very exciting! I feel sure that, today, such a comment would not be directed at children. I have been reading accounts of mothers who were evacuated on separate ships to their children, and spent weeks trying to find each other in England. One five year old boy was seriously ill in hospital and the press launched a campaign to find out if his Mother had managed to get to England from Guernsey. She was in Southampton and read the newspaper report, the newspaper paid for her train fare and she was once again reunited with her son, who recovered from his illness. There will be more about this in my book. There is a huge time gap in this blog as I had to complete my book chapters and submit them to The History Press by 31 March. Then I took a day or two to wind down! I really hope people like the book, I was quite emotional writing it, as the stories of the 200 or so people who shared their experiences with me, are extraordinary and often very emotional. The stories of the mothers who left Guernsey with their babies, leaving their husbands behind, are amazing, and I am so lucky to have been able to meet them, as they are in their mid nineties. They have amazing memories of the war years though and some fabulous photographs which I have included in my book (102 images in total). I have used the evacuees’ own words throughout the book which I hope will connect with people and bring the whole story to life. will continue to write this blog up to 1 November when the book is released, as I am sure there will be some changes to the text between now and then. During my research for this book I discovered that during the war, one of the Guernsey schools which was re-established in England – La Chaumiere School in Cheshire – was sponsored by the Foster Parent Plan organisation. I find this sponsorship story fascinating and have written part of a chapter about it in my book. The main focus is on Eleanor Roosevelt’s sponsorship of a Guernsey girl in the school, but other pupils were sponsored by American Senators, High Schools and naval officers. They were all so thankful to receive letters from people, as communication between Guernsey and England during the war was practically non existent but for rare 25 word Red Cross letters. Some children also received gift parcels from America. I have been re reading the evacuee children’s first impressions of England in June 1940. They were amazed by the difference between their rural island and the industrial appearance of English towns: the wide roads, buses and trams, steam trains and viaducts, and many were shocked by the soot coating the buildings. 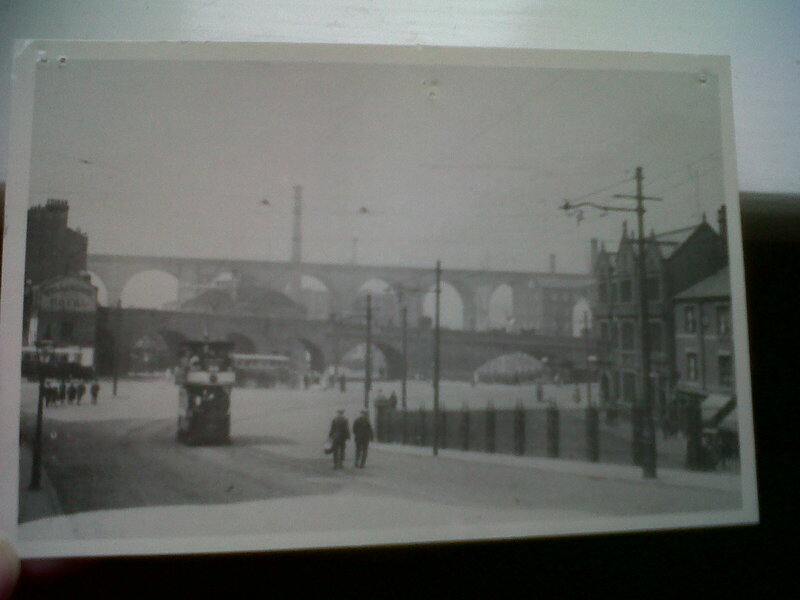 One boy recalls his first sight of Stockport – see picture below. I have been thinking over the past week or two about the information that I will NOT be able to include in my book. Having interviewed nearly 200 evacuees who have shared their memories, personal documents and photographs with me, I have so much information that it simply will not fit into a book of 60,000 words. It has been extremely difficult to choose the memories that are going into this book, and to leave so many out. I will ensure that all the stories given to me are shared with the public through this blog, school talks, magazine articles and our community events so that the stories given to me will not remain untold. Some of the evacuees who shared their wartime stories with me have since passed away and, during our interviews, they really wanted their stories to be heard. I will not let them down. Yesterday was Guernsey’s Liberation Day, and I celebrated the event by visiting a Guernsey friend during the afternoon. As I entered her home, waving my Guernsey flag, I was confronted by a huge but rather threadbare Union Jack which she had placed over an internal door. The flag has a story! When the evacuees had settled a little in England and Scotland, they formed around 90 ‘Channel Island Societies’ where they could meet up, talk about their families, and help each other during their five year exile from the Channel Islands. 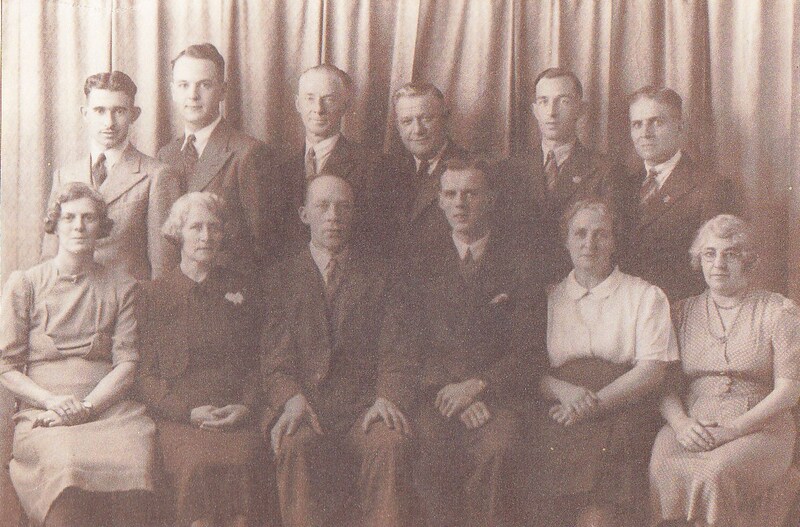 There is more about the work of these societies in my book, but here is a photograph of the Bury Channel Island Society Committee – which was based in Lancashire, England. 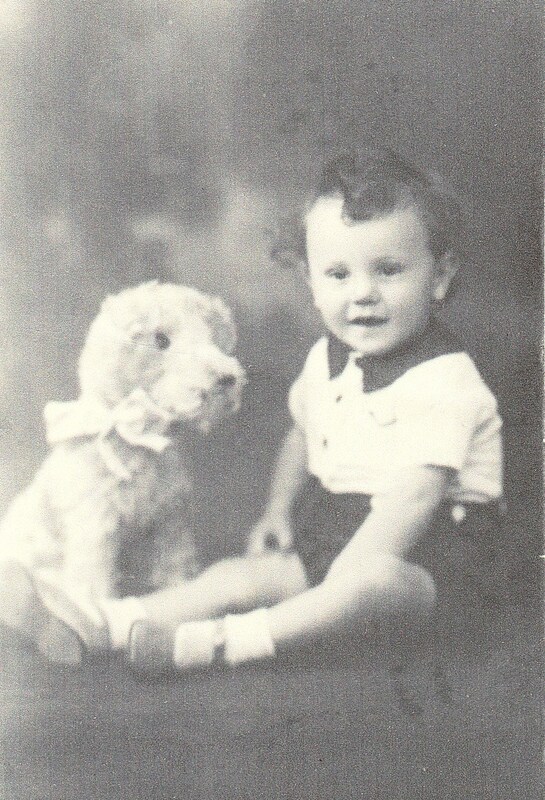 The photograph below shows Brian with his teddy bear – he was only 6 months old when his Mother brought him to England on the evacuation ship from Guernsey. Brian’s father joined the British Forces. Brian no memory of the evacuation, but his Mum, Violet, has shared the family story with me. She is the oldest evacuee that I have interviewed so far – being 99 years old. It was a fascinating interview for me and segments of her story feature in my book. Brian married a local girl and lives in England. 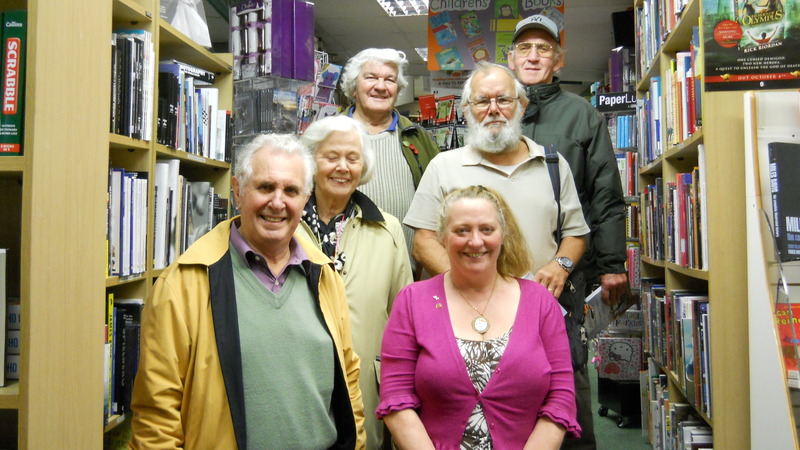 He is a member of my Guernsey Evacuee Community Group, and takes part in our various events. Recently discovered the diary of a young woman who evacuated with one of the Guernsey schools as a ‘helper’ to the teachers. She ended up in Cheshire, and wrote a diary throughout the war. It contains the birthday cards that were sent to her in England during the war, and the Red Cross letters that arrived from her family in Guernsey. 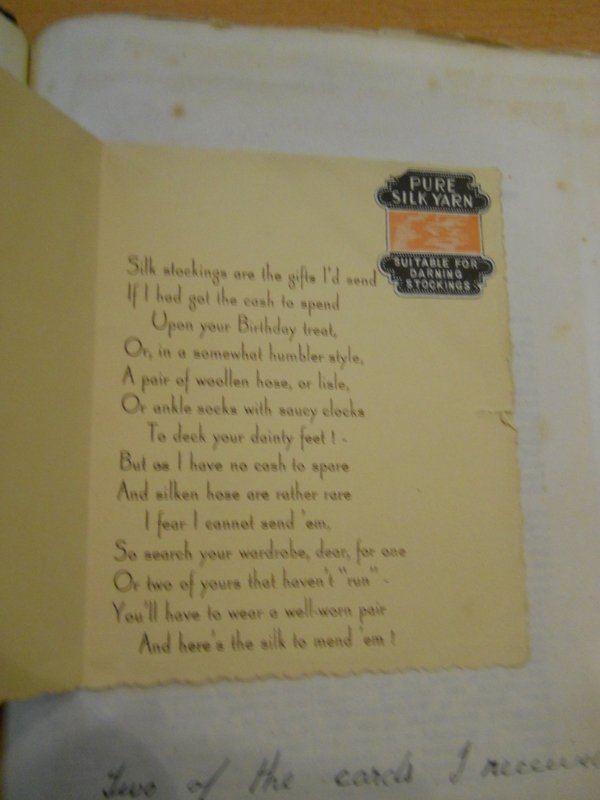 Below is a birthday card that was made for her by a friend – and attached to the card was a reel of silk thread to be used to repair her stockings. It must have come in really useful at the time! I have spent the last few weeks interviewing more evacuees, and also writing an article about the Guernsey Evacuation for am American magazine called “Americans in WWII”, which should be published in the Autumn. I will make a note on this blog when it is available. On 18 June 1940, the President of the Education Council invited Guernsey Head Teachers to an emergency meeting, to inform them that the evacuation of school children was a possibility. That same evening, the sound of guns and explosions on the French coast could be heard in Guernsey, causing some alarm. On 19 June 1940, the Guernsey newspaper announced that on 20 June, the evacuation of school children to England would commence. The children were to leave with their teachers, accompanied by around 500 women who would travel as ‘teacher’s helpers’. You can read the 1940 diary of a Guernsey evacuee mother on my ‘Diary of an Evacuee’ page on this website. I have also conducted some new interviews with evacuees this week. 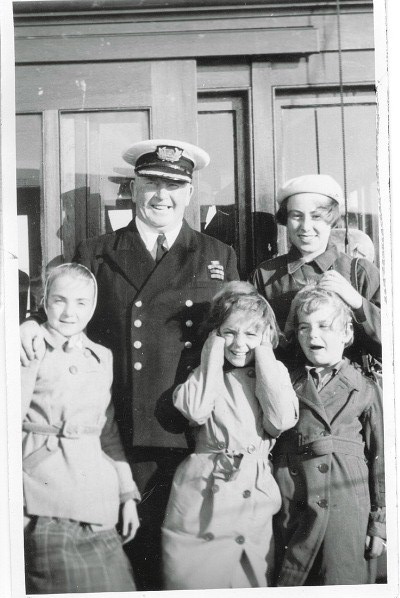 One boy left on an evacuation ship today in 1940 upon his 8th birthday. Another girl left on the same ship and it was her 7th birthday. They met up in Guernsey 13 years later and were married and of course share the same birthday. It wont be difficult for me to remember to send them their birthday cards!! At this time in 1940, evacuees were still leaving Guernsey, and some mothers, brothers and sisters told me that they became separated when they reached England, in the confusion. Others lost their few bits of luggage. The evacuees boarded steam trains, and thousands were sent to industrial areas such as Bolton, Stockport and Bury. There they were housed in evacuee reception centres created in public buildings such as churches, town halls and even dance halls. See my ‘Diary of an Evacuee Page’ for more information. 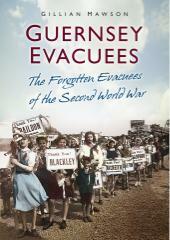 Today, 72 years ago, evacuees were still fleeing Guernsey. However, around 6.30pm,this came to an abrupt end, when 3 German aircraft bombed the harbour at St Peter Port. They dropped bombs on the pier and town, then swooped down to machine gun the streets around the harbour, apparently assuming that the tomato lorries lined up at the harbour contained ammunition. Most of the lorry drivers had crawled underneath their vehicles for shelter, and when the lorries were hit, they were trapped underneath. The Isle of Sark mailboat was taking evacuees on board at the time, and its Lewis gun was the only defence the island had. When news of the air raid reached England, no further ships sailed for Guernsey, and the evacuation was effectively over. 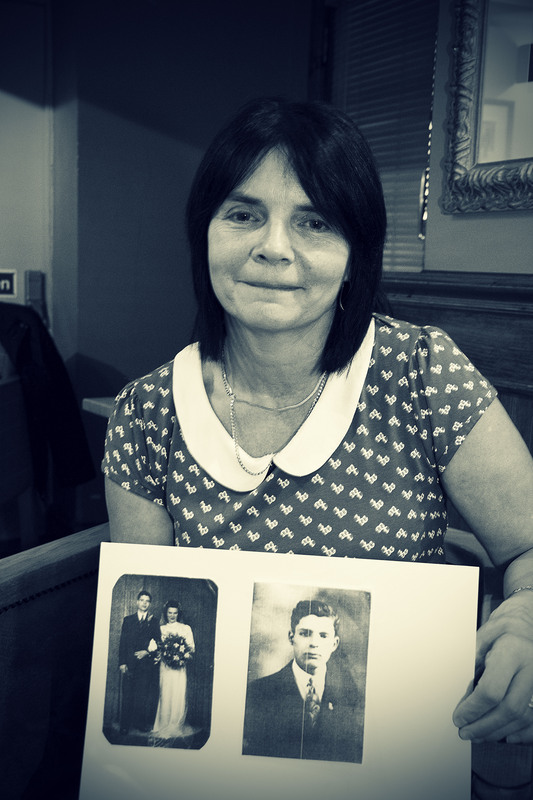 Thousands of Guernsey families were now separated from their loved ones. And Germany occupied the island on 30th June. This week I have been put in mind of all the evacuees that I have interviewed over the past four years for my book. Several have passed away over the past 12 months, or are now unable to leave their homes. One of the evacuees in my community group, Hazel, is in hospital just now, having hurt her back 5 weeks ago. I visited her in hospital a couple of days ago and we had a wonderful chat. Below is a photograph of Hazewl (seated on the right) with her sister Mavis, (seated centre of picture), which was taken at our community event in Stockport in October. In June 1940 Hazel was evacuated from Guernsey to England with her schoolfriends and teachers, whilst Mavis left Guernsey with her mother. Their father joined the British forces. Hazel’s school was eventually sent to Alderley Edge in Cheshire, where her mother and sister eventually found her. It was not easy finding your children at that time, as record keeping of evacuee movements was incomplete. After the war, the family decided not to return to Guernsey but to remain in England. Both Hazel and Mavis frequently take part in my community events so that they can share their evacuation experiences with people of all ages. Who knows, one day you may meet them!! Today in 1940, hundreds of Guernsey children and mothers were still living in an evacuee reception centre which had been created within Stockport Town Hall, Cheshire. The huge ballroom housed hundreds of camp beds, and the evacuees were assisted by local volunteers such as the WRVS and the Girl Guides. One Girl Guide recalls “We did what we could, nursing babies so that the mothers could have a break, some fresh air and a wash. We were very proud to be helping them, in our small way. Many seemed very distressed, and some of the younger children who had left their parents behind in Guernsey were crying for their Mums and Dads”. 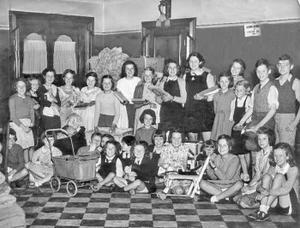 The image below shows some of these children in the entrance hall of Stockport Town Hall in June 1940. Today I re-read the evacuation account of Margaret Le Poidevin who arrived in Stockport with her mother. As I read it, I was reminded of the plight of many of the mothers who, when they were released from the evacuee reception centres to find new homes, discovered that they were not allowed to rent property unless their husband was in the Forces. 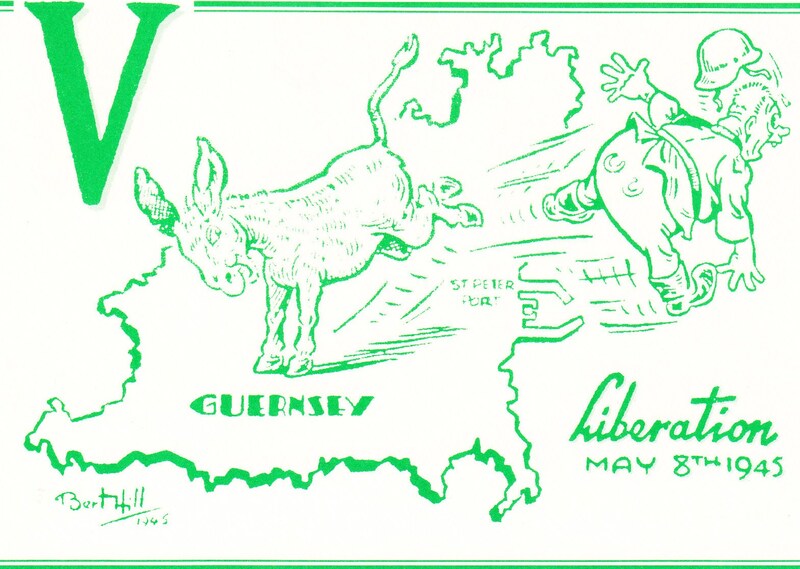 As a result, many of the Guernsey mothers whose husbands were trapped in occupied Guernsey shared houses with Guernsey mothers whose husbands were in the Forces. Mrs Le Poidevin and her children shared a home (an empty corner shop building) with Mrs Tippett and her children. Their home is shown below. 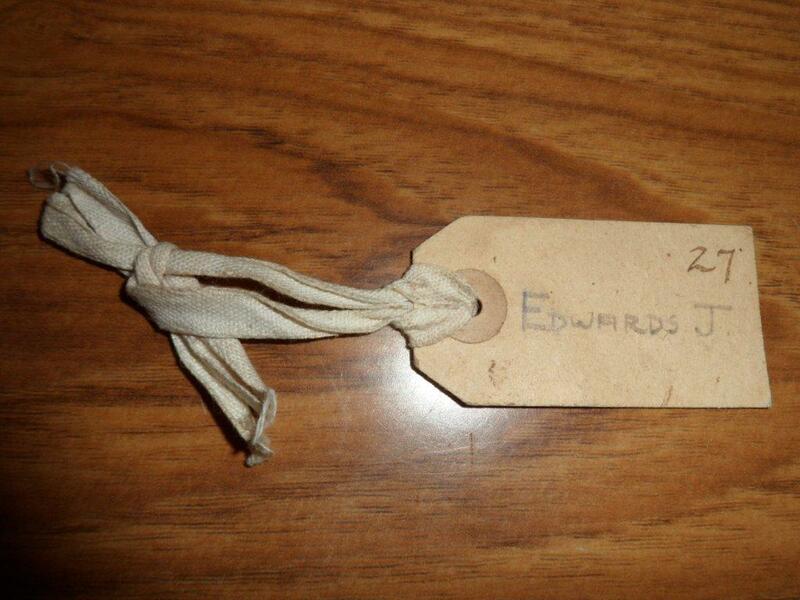 You can find out more about this evacuee ‘homesharing’ in my ‘Diary of an Evacuee’ page. Today I thought I would tell you about one evacuee who sadly I never got the chance to meet. Mr Lawson Allez’s daughter, Sandra, contacted me some time ago in order that I could meet her father to hear his evacuation story. Sadly, before we got the chance to meet, he was taken ill. Sadly, he passed away a few months ago but I promised Sandra that I would tell her father’s story. 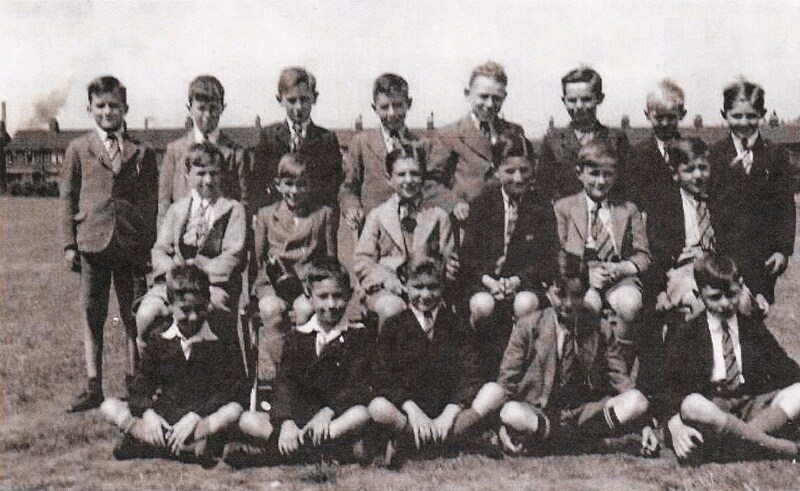 Below is a fabulous wartime photograph of Michael with his classmates in Oldham. He is on the back row at the extreme left, and he is still as handsome today!!! Over the past months I have received a number of new evacuee stories which sadly cannot be fitted into my book. However, I plan to use them in many different ways, one being on this blog! I would like to share a little of Marlene Whittaker’s story with you today. Marlene was evacuated to England with her teachers and classmates. 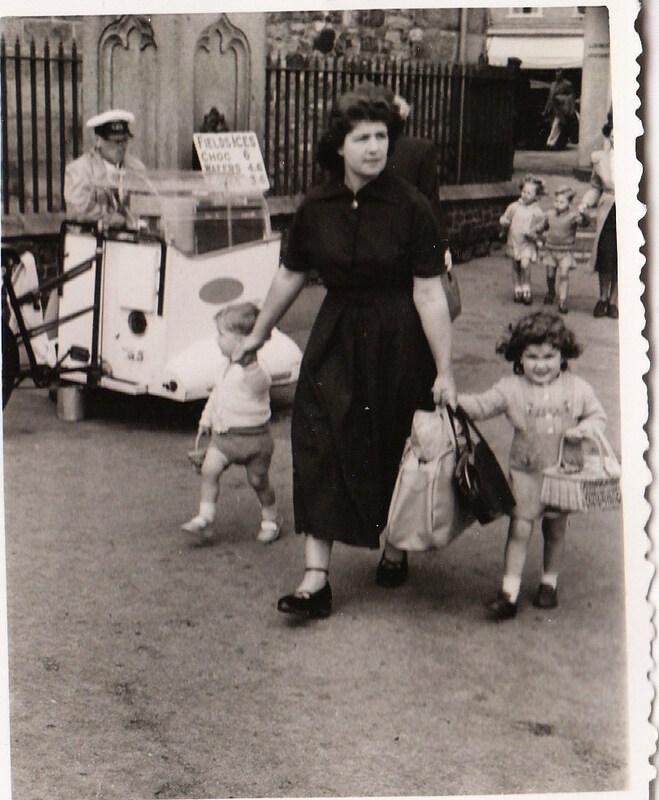 She recalled “I realised that I was going on my own, without my Mum and Dad, I felt sick in my stomach and my legs were shakey.” Marlene arrived in England and was sent to Glasgow where the evacuees slept in a church for a while. In the meantime, Marlene’s parents had left Guernsey on a cattle boat with their 2 other daughters. “They arrived in Yorkshire, expecting to see me there, and were very upset. My father put an advert in the district newspaper for ‘Missing Child'” Luckily a local lady saw it and helped to trace Marlene in Glasgow. Soon after, Marlene boarded a train, “I watched as Glasgow faded in the distance. We arrived at a little railway station in Yorkshire and there was my Dad. I remember grabbing his hand for dear life.” Below is a wonderful photograph of Marlene with her father. 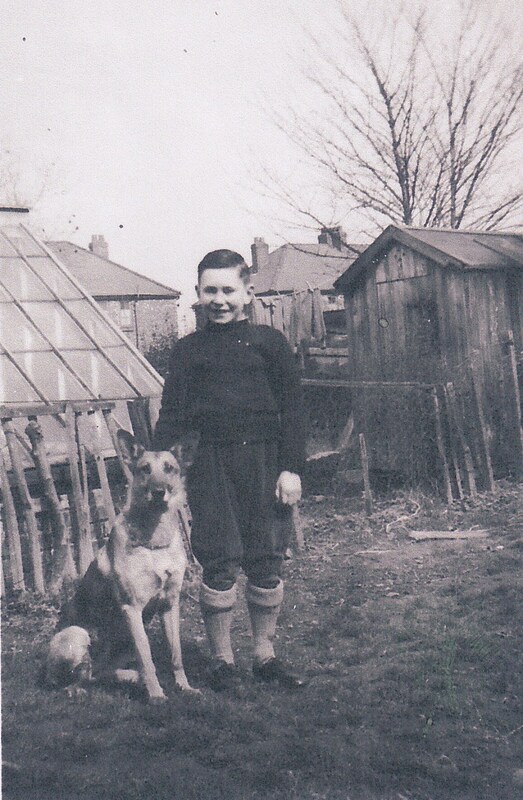 I also want to share another evacuee story with you, that of Kenneth Cleal. Born in London in 1925, Kenneth was sent to Guernsey in 1939 because it was felt that he would be safer there than in London. He attended the Boys Grammar School which was evacuated to Oldham, Lancashire in June 1940. 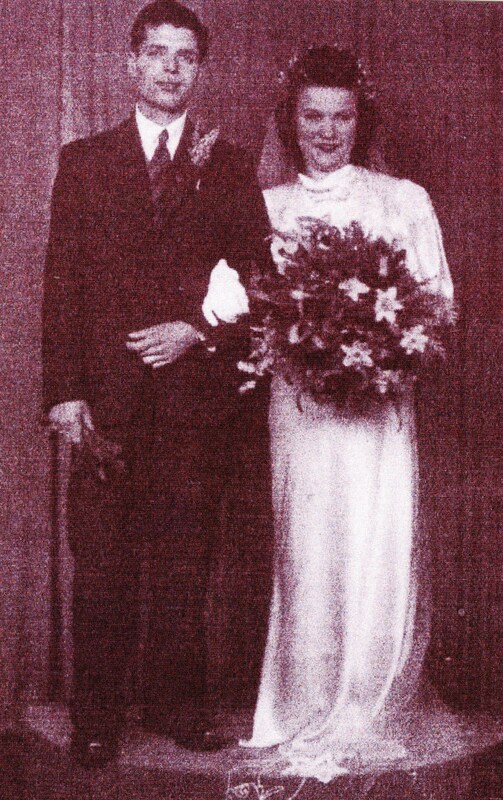 In 1942 he met the woman who would later become his wife, Alice Scowcroft. 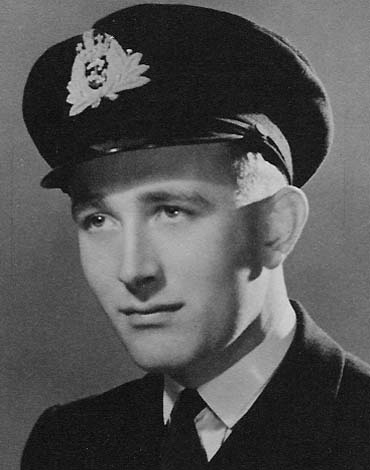 Ken later joined the Royal Navy and saw service in the Far East as a Sub Lieutenant. When Guernsey was liberated, the couple decided to make their home there, and were married there in 1948. They remained in Guernsey for the rest of their lives. My thanks to their daughter, Anne, for allowing me to share this family story with you. I have lately heard some new Guernsey evacuation stories, two of which were so sad that I just cannot share them with you here. The damage that was done to families, not just children, but parents and grandparents, because of five years of family separation, just could not be undone in many cases. Luckily I hear joyful stories at times, to balance the traumatic issues. 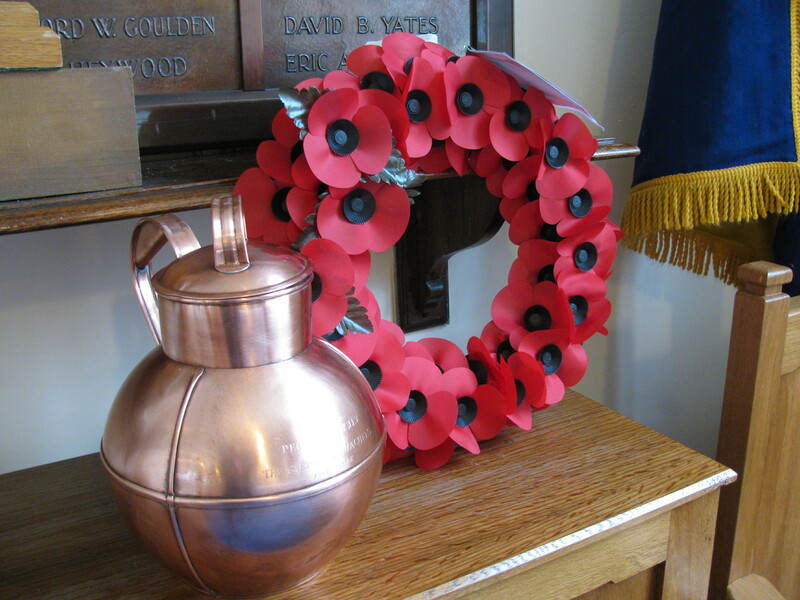 A number are still in touch with the families that they lived with in England during the war. Although most are now too frail to visit each other for holidays, they regularly write and telephone each other. Wonderful! Another evacuee told me “When I had left Guernsey in 1940 I was 13, but when I returned I was 18, a young married woman with a new baby. My parents just didnt know how to relate to me”. The island had suffered under Nazi occupation, and many evacuee Mothers returned to find that their homes had been destroyed or looted during the German occupation. Some families decided to return to England as they felt that the prospects for themselves and their children would be better. Have been offline quite a lot lately due to proof reading my book, adding in a few new sections, and working with History Press on book signing events and marketing the book. I have learnt a lot! During this time however I have collected several new evacuee stories. I was also given a copy of a newspaper that the RAF dropped on Guernsey during the Nazi occupation. I feel very lucky to have seen this. I also read a great cutting from the Guernsey Star of 1956 when the children of Vale School (which was evacuated to England in 1940) had collected £40 for refugees in Europe. Interestingly, Guernsey children collected money to clothe European refugees in 1939 – and when the Guernsey children were evacuated to England, some of them actually received clothing that they themselves had paid for in 1939! This has been very mixed week for me emotionally. On the one hand, the efforts of my friends on Twitter together with the work of the Huddersfield Examine, reunited a Guernsey evacuee, Pamela, with her wartime friend in Huddersfield, Betty. On the other hand, I was informed that one of the first evacuees that I interviewed, Mr Stan Hicks, had passed away. Stan left Guernsey with his mother and younger brother in the hold of a cargo boat, and they were initially sent to Glasgow. His older brother evacuated with his school. 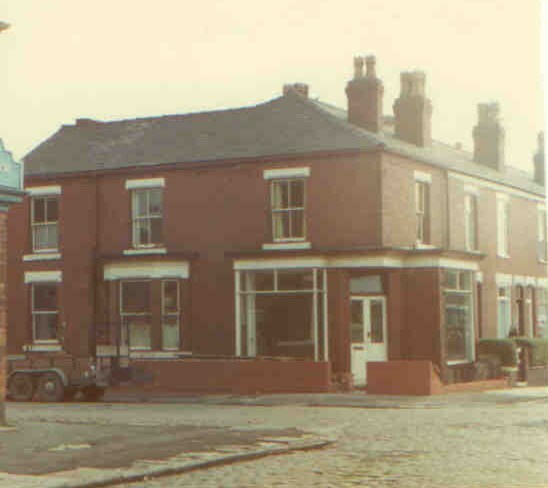 Their father joined the family later, and in 1941 the whole family moved to Stockport. His father became an ARP warden and Stan attended Hollywood School which he hated with a passion! They returned to Guernsey in 1945 to find that their home had been taken over during the occupation. Stan told me that he had happy memories of his time in Stockport – apart from school! After the war, he returned to Stockport 3 times to have a look round, and I was fortunate to see Stan and his brother Reg in May 2011 when I screened my evacuation film in Guernsey. Rest in peace Stan. Please feel free to share the trailer with friends, or via your own facebook pages, twitter feeds or websites. I would be very grateful! Today I thought I would give you an example of how evacuated Guernsey families were separated during WW2. I have a ‘Burnley Express’ press cutting from Guernsey. This Guernsey family had been separated as follows: Mr Pike was working in Manchester, his son Herbert was a prisoner of war, having joined the British forces in 1939. Mrs Pike’s four year old son Barry had been born in Burnley, and daughters Hazel and Odette were evacuated with the Guernsey Ladies College to Derbyshire then Wales. Another daughter, Noella, had evacuated with her school to Cheshire, whilst another son, Ronald, was working on a farm in Cheshire. Another daughter, Monica, had escaped from Guernsey with other members of the family in a fishing boat after the Germans had occupied the island, and been reunited with her mother in Burnley. How delighted they must have been when they all returned to Guernsey, to live under one roof! I received a fantastic document the other day, a copy of a newspaper that was dropped on Guernsey during WW2 by the RAF, and was passed from person to person behind the backs of the German occupiers. It is dated September 1940, and articles in the newspaper include ‘German Front Line Battered’ ‘St Pauls in London saved from destruction’, and ‘The Sinking of the City of Benares by German UBoat – 77 children drowned’. Since my last posting, I received the very sad news that Mr Martel, who gave me access to his father’s wartime diaries, has passed away. I was planning to see him when I visit Guernsey on 16 November, so this was quite a blow. I cannot thank he and his family for allowing me read the diaries which have brought my chapter on the evacuated Forest School to life in my book. I have spent the past week responding to an increasing number of emails asking about the actual content of my book. At the same time, a message was sent out on Amazon which shocked many people who had pre ordered it on line. The message said that the book would not be available until late December, which is incorrect. I had to respond to numerous emails and tweets to assure people that the book WILL be published on 12 November, and received soon after by those who have pre ordered it. All part of being a writer eh?! Now back to my book signing preparations! I have just received one copy of the book from my fabulous editor, Michelle Tilling, at History Press. Its hard to believe that I began this work four years ago and now hold a book in my hand! There is a great deal in the book, but at the same time, so much had to be left out. 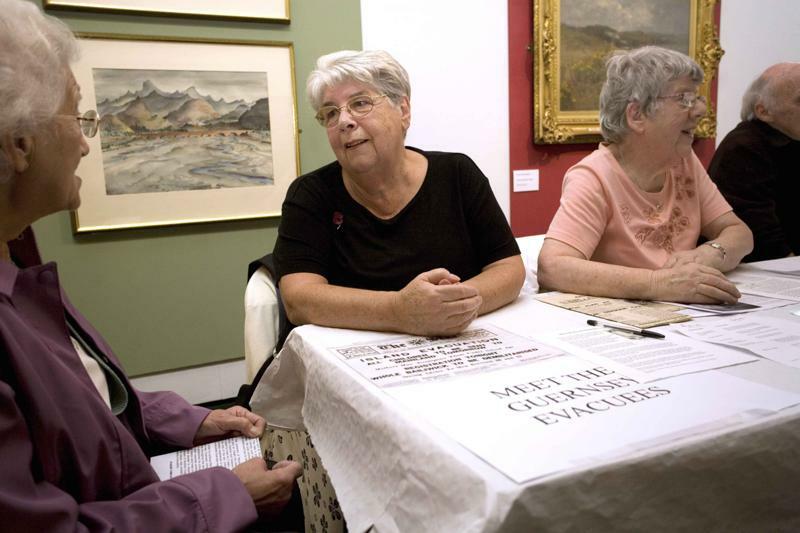 60,000 words only scratch the surface of the story of these evacuees. I hope that the evacuees and the public enjoy the book. I now sit back to wait and see! The book launch and signing events in Guernsey went really well, and the stock sold out within 45 minutes at the Guernsey Press shop, and at the German Occupation Museum. Both have ordered more books which is wonderful news. My arrival in Guernsey on Thursday was delayed by fog over the island, with the result that our plane landed in Jersey!! I spent two hours in the departure lounge reading a book and playing Word Mole on my Blackberry! This meant that my interview with the Guernsey Press had to be postponed to the next morning. 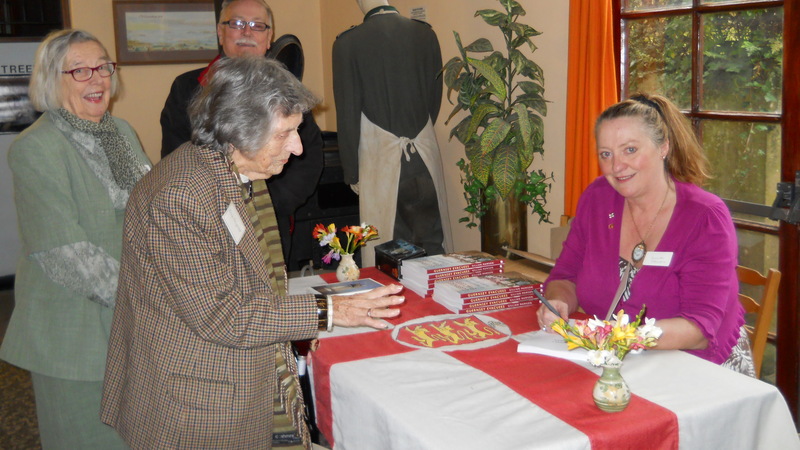 The book signings were wonderful for another reason – they gave me the chance to be reunited with many of the evacuees that I have interviewed, and their families. Some were waiting for me as I arrived in the Guernsey Press shop. Forty more friends came to a book launch event that was kindly arranged for me at the German Occupation Museum. However, there was sad news as I discovered that the lovely Bill Batiste, whose story features in my book, had passed away in October. His family came to inform me, so this was another very emotional moment. Sir Geoffrey Rowland then said a few words to the crowd, as did I, then I disgraced myself by bursting into tears. Consequently the first books that I signed had a tear or two upon their pages! Below are two photographs – the first taken in the Press Shop, the other at the Museum. Thank you to everyone who welcomed me during my visit to Guernsey! Today I have a few images for you – photographs of several of my evacuees taken this week as they receivied the book from me. 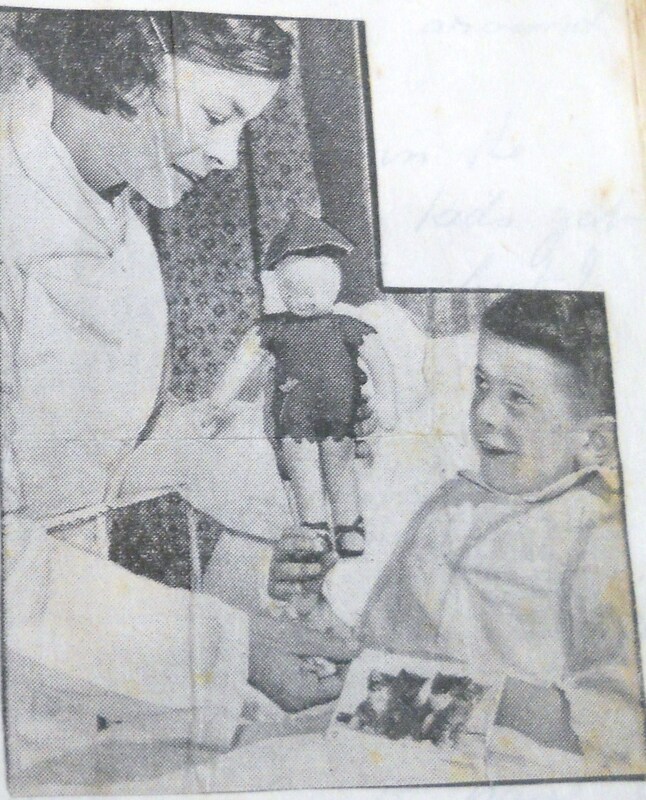 (Maureem Dorrian, Irene Moss and John Tippett) The other image is a Liberation Postcard which was sent by a Guernsey family to a child evacuee in England in May 1945. Because of a few recent enquiries(due to publication of my book) I am including here a film link that I originally shared with you in February. I worked with a Guernsey evacuee, John Searson, to rediscover lost wartime footage of Channel Islanders filmed at Belle Vue, Manchester, by Pathe News during the war (1945) We broke the story to BBC Channel Islands television and a feature appeared on Channel Islands TV, together with the lost footage. The news clip can be watched here: do let me know if you recognise a Guernsey, Jersey or Alderney relative! A very happy new year to you all and a peaceful 2013. Today I was given a link to an outstanding and poignant piece of film which was made by an American who visited Guernsey, via France, in 1939. As he drove through France, war had not broken out, but as he was visiting Guernsey, war was declared. He filmed Guernsey men leaving to join the British Forces, and on his way back to America, came upon a ship which had been torpedoed. The ship’s crew managed to rescue some of the survivors. It is a very moving film, and if you have 20 minutes to spare, do watch it. 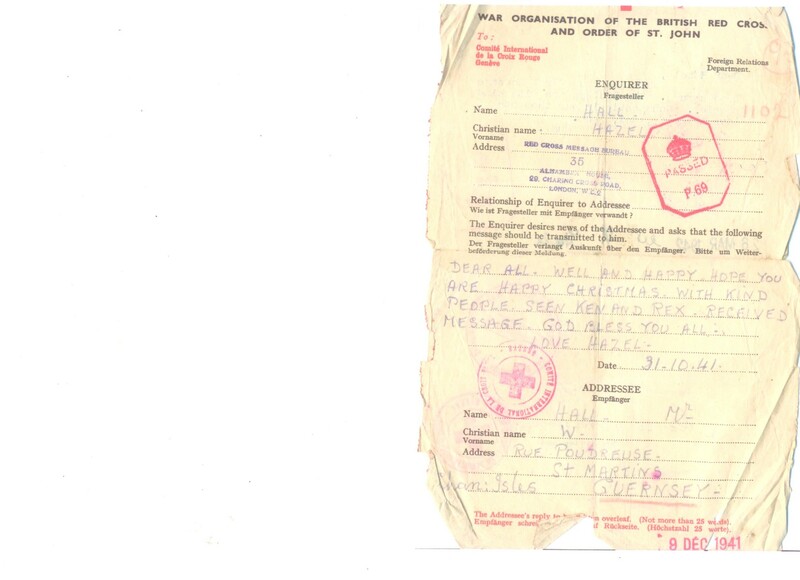 “We wore what extra clothing we could, tried to eat, took the important documents like birth certificates. We locked the doors and threw the keys up to Walt and Lena (our neighbours). It would be five years before we saw them again. One sound as we walked up Delancey – the quiet sound of many footsteps, children hand in hand with their parents, through all the little lanes leading to one focal point – the little hut by the school gate. Only the children were to come into the school – the silent farewells were made outside and we checked the list as the children came into the candle-lit main room. The parents waited patiently on the hillside. The books seems to be selling really well, so my earlier fears of it ending up for sale for 50 pence in cerain bookstores have been staved off for now! I held a book reading in Bury Library, Lancashire, last week and some visitors braved the thick snow to attend, which was a real joy. 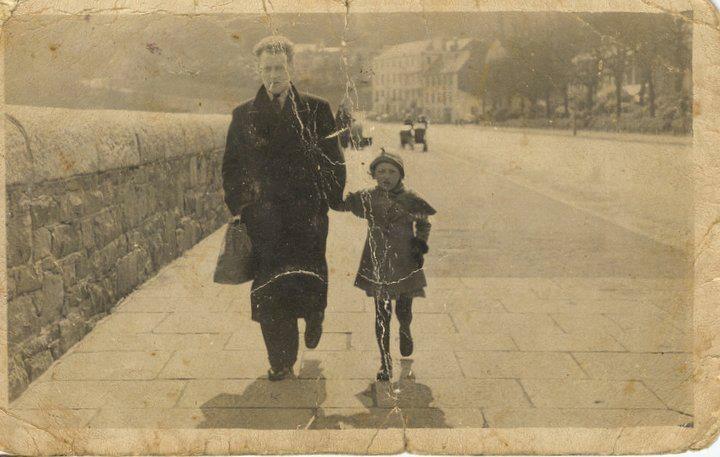 I also met a couple whose family had taken in a Guernsey evacuee during the war, by the name of Ivan Le Roy, and am trying to locate him so that the family can write to him. Today I want to share with you a letter dated 25 June 1940 which a Guernsey woman sent to her neice who had been evacuated to England a few days beforehand. The little girl, Rachel, arrived in Stockport and received this letter just as the Nazis occupied Guernsey on 30 June. 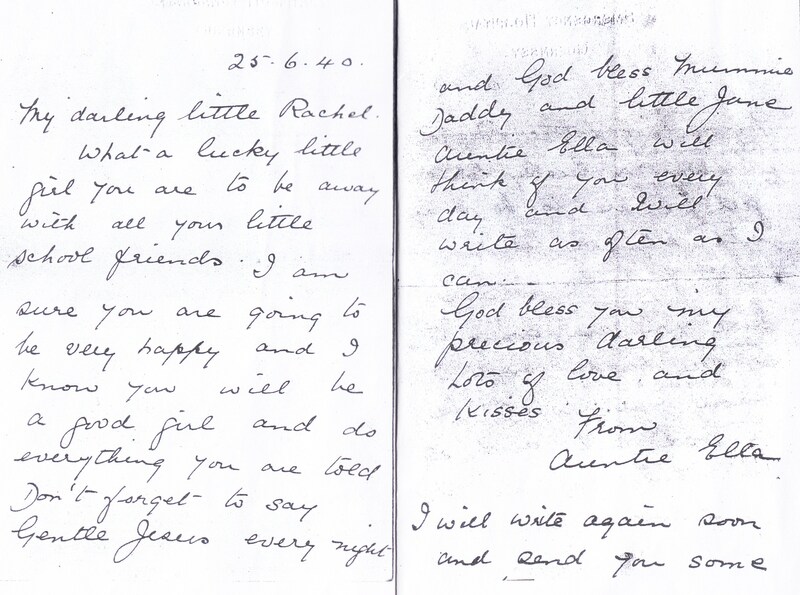 She told me “This was the last letter that I received from any member of my family until May 1945”. I am delighted that an article that I wrote for ‘Your Family Tree’ magazine will appear in the April issue- in the shops on 26 March. 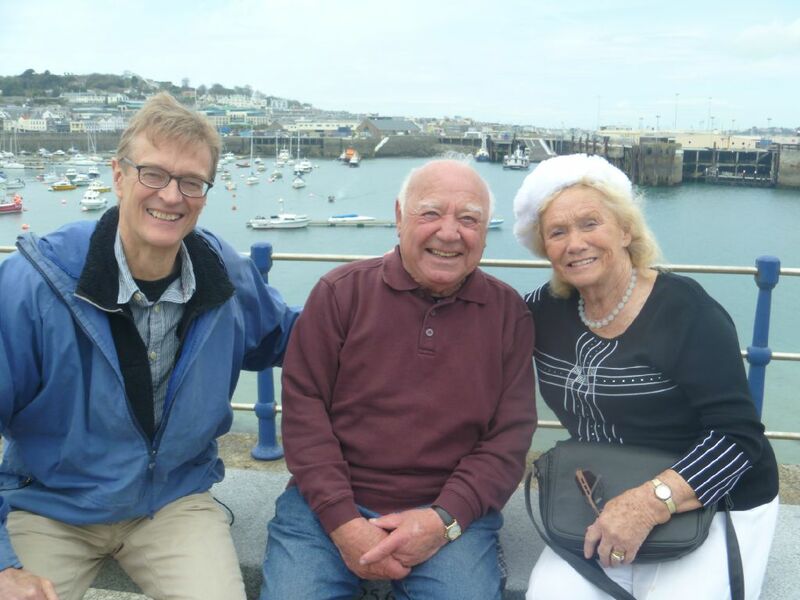 Below is a photograph taken during Coast’s filming, of Nick Crane, Paulette and Stanley – on a lovely sunny day in 2012. Paulette’s full story can be found in my book, in the chapter entitled ‘The Kindness of Strangers’. Captain Frank le Mesurier was the first to write to me – he was evacuated to Oldham, Lancashire, and was very happy there, and looked after by two lovely families. Both families took him on holiday with them during the summer – to St Annes on Sea, and North Wales. In October 2011, he flew from Guernsey to Stockport for the day, to attend my ‘Meet the Guernsey Evacuees’ event in Stockport Art Gallery and War Memorial. Dennis Camp was evacuated to Stockport and developed a lung condition which resulted in him spending a great deal of time in hospital. He was placed in a ward with a group of Dunkirk veterans who prayed for him, and he attributes his life to their prayers. They also clubbed together enough money to pay for a train ticket for his mother to come and visit him in hospital. Dennis has returned to Stockport many times to revisit his second home. 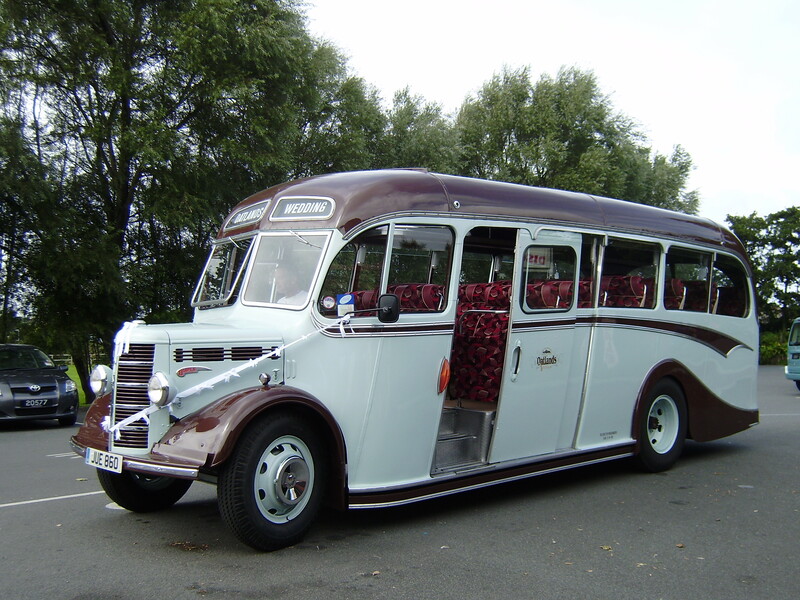 Below is a photograph of the vintage bus that I have been given for the day! This month’s issue of ‘Your Family Tree’ Magazine has issued some free online Channel Islands resources which I provided. They include information on evacuated schools, wartime photograohs, and scanned pages from the magazines that were created by evacuees in England during the war. The pages contain messages that were sent between the evacuees – the magazines were created by the Stockport Channel Islands evacuees between 1941 ands 1945. I have interviewed 7 more evacuees over the past week and heard yet more extraordinary war time stories! One that I must mention today is that of a brother and sister who came to England with their school friends and teachers. The whole school was sent to an evacuee reception centre in Manchester. After a meal, the teachers and children were separated into two groups, boys and girls, and taken into separate dormitories. The children soon fell asleep, exhausted, on their camp beds. “I heard the air raid siren and I immediately remembered my Mum’s final words to me as we had left Guernsey ‘Do not get separated from your brother, whatever happens!” So instead of going to the air raid shelter with the rest of the girls, I ran to the boys’ room and found my brother. I grabbed his hand and ran outside. We both ended up spending the rest of the night hiding in an air raid shelter with lots of elderly people, instead of our school friends. 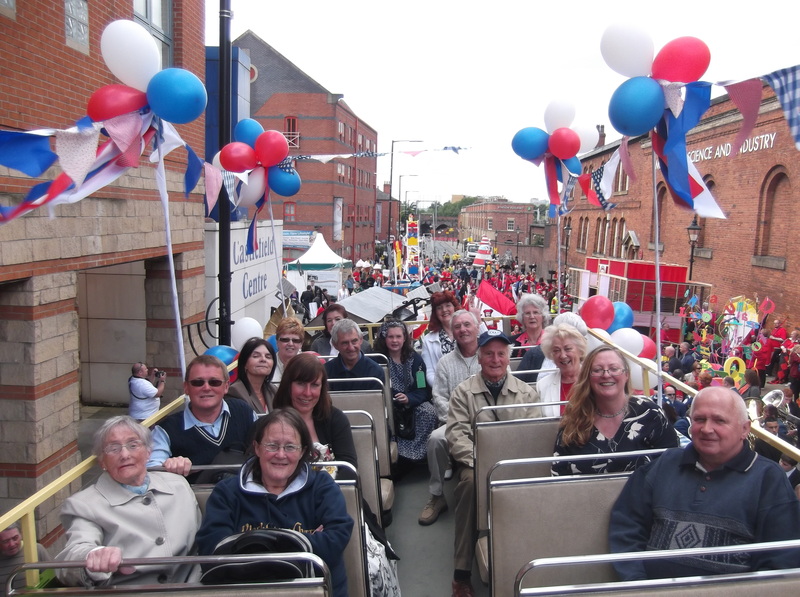 On Sunday 2nd June some of our Guernsey evacuees, who are now resident in High Peak, Stockport, Oldham, Bury, Yorkshire and Manchester, took part in the Manchester Day Parade. The parade was dedicated to Drummer Lee Rigby. 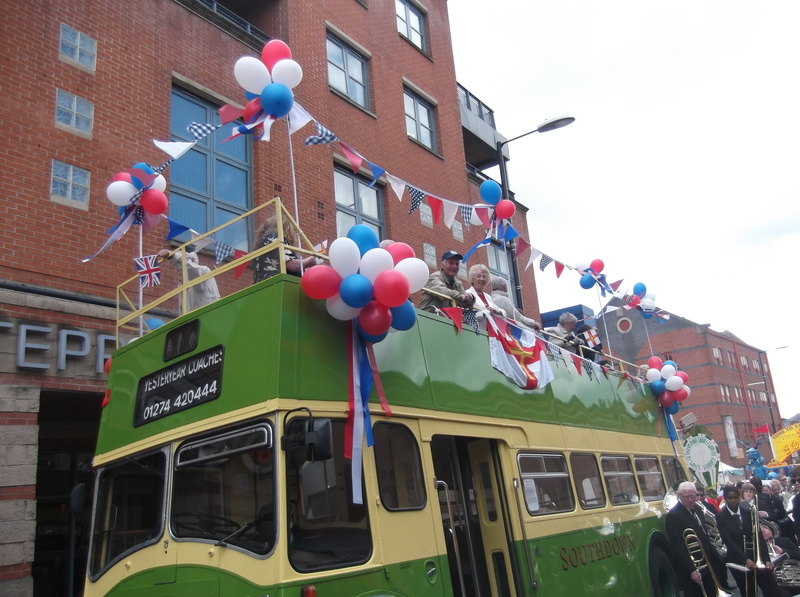 The evacuees and I boarded a double decker vintage bus which toured Manchester city centre. In June 1940, these evacuees arrived at evacuee reception centres in Manchester, and were then moved to villages and towns in Cheshire, Lancashire, Yorkshire and Derbyshire. They did not return home in 1945, like thousands of others. The evacuees stated “It was a wonderful experience for us all. The welcome that we received from people during the parade reminded us of the welcome that we received here back in 1940, when we arrived with just the clothes on our backs.” The evacuees were joined by Ron Standring, the grandson of John Fletcher who fund raised throughout the war in order to provide Christmas presents for 300 Guernsey children in the Bury area. Surprisingly, for people of a ‘certain age’, the evacuees managed to stand and dance on the bus most of the way around the 2 hour circuit! Our sincere thanks go to Manchester City Council, Walk the Plank and all the volunteers who helped on the day. Below are two wonderful photographs, taken by Nicolle Watkins. You can find out more about our evacuee community group on my Community Events page. My childhood was left inside. when I closed my bedroom door. In the hall, distraught, father waits, mother weeps. and licks the tears from my face. Reluctantly we speed to the harbour. father’s jacket will remain with me. On the ship we say goodbye, perhaps forever. During my research into the evacuation of Guernsey, I have interviewed a number of people who were evacuated as orphans, and who were then adopted during their time in England. A follow up letter gave permission for the couple to adopt the boy, but a few days later a letter from the Children’s Home itself refused permission. It stated that the boy’s records were still in occupied Guernsey. Only if these were viewed could it be certain whether the boy had any living family or not, and this would have to wait until the end of the war. If I am contacted by this evacuee at any point in the future, and if he is willing, I will update this post with his story. I have been so busy with various writing projects, my community group of evacuees and family life, that it is quite some time since I updated this blog. I have been advised by the History Press that several thousand copies of my ‘Guernsey Evacuees’ book were purchased between November and March, which is great news as I had no idea of how many would be interested in this overlooked story! I have a great deal of material for further Guernsey books, and hope to start work on one in 2014. However, in the meantime, I am compiling a new book about evacuees from all over Britain. It will contain personal stories from around 100 evacuees who spent the war in England, Ireland, Scotland or Wales. Each story will be accompanied by a family photograph, most of which have been rescued from evacuees’ attics or local archives. During the four years that I spent interviewing Guernsey evacuees for my first book, I was contacted by people from all over Britain with their own amazing British evacuation stories and photographs. I am now compiling these into a new book, which will be published in 2014. Sadly, many of the Guernsey evacuees I interviewed for my first book have passed away, so it is vital that as many British evacuees’ stories are collected now before they are lost for ever. The new book will also include stories from people who took evacuees into their homes (billeters), or who offered assistance to evacuees when they arrived in their towns. Some of the stories that I have collected so far are positive, with evacuees gaining new experiences and making new friends, whilst others are very sad for numerous reasons. There is so much more to the evacuation story than just children arriving at railway stations with labels tied their coats. I have stories from evacuated mothers and teachers, together with stories from children evacuated to Britain from Gibraltar, Spain and the Channel Islands. Hopefully this book, with the help of the rare family photographs, will paint a picture of how British people opened up their homes to children and adults during the dark days of the war. I love books based on actual journals. Great to see you are doing this. Where did you find these Canadian newsletters? I’d love to be able to take a look at them. Thanks, Gill! I’ll email you. Fascinating and very interesting. Good luck with it and I hope to read more. Real history by real people. My mother was a child evacuee from Guernsey and she has left me her story in writing as she is sadly no longer with us I wonder if you would like a copy of it to maybe include in your book or a future book. It would be so lovely to know that the story is out there. Glad I found this blog. looks fascinating! Yesterday I visited the Odusan Unification Observatory in South Korea and could look across the water to N. Korea. I was stunned by the photos showing women who had husbands and sons kidnapped and taken to N. Korea in 1950 and they have never been able to find out what happened to them. It saddened me to think of never knowing what happened to loved ones. I observed one very old man looking through binoculars across the water into N. Korea and I wished I knew what his story was. I am looking forward to Gillian’s book that perhaps will tell the complete stories that otherwise we may not have known. Absolutely fascinating! I was introduced to this topic when I read the book The Guernsey Literary and Potato Peel Pie Society. I was happy to read your blog and learn that you have written a book with personal stories, photos, and interviews of some of the evacuees. I just preordered my copy on Amazon and will continue to follow your blog. Thank you for keeping this piece of history alive. Hi Gill,I have looked at more of your blog its getting more and more involved isn’t it and so interesting to everyone. I am hoping that the younger generation are reading it. Gill I had a present from a friend which was a newspaper cutting of some evacuees returning home where their parents are greeting them, but I dont know where it was from. My friends bought it and framed it in connection with my book quite clever really. Which you will probably see when you read my book. Would you like me to e mail you the cutting. Hi Gill, No I have’nt got your e mail address. I will wait to hear from you with it. then send the cutting.O.K. will send it to you today thank you Rita ! Excellent research. Any idea when the book will be avialble for the Kindle? Wow Gillian, this is really impressive. I know how difficult it is to obtain all this information as we are writing about the same period albeit I’ve chosen Jersey rather than Guernsey for my story. All the best with it. Hi Gill, Well ! I thought it was about time to leave a comment on your blog for a change. What a fantastic story your book portrays. As an evacuee myself I am very proud of the hard work you have done in bringing so many Guernsey evacuees together enabling them to share their life stories. Its so heart warming to see the pictures of them looking so happy . I congratulate you and wish you every success. HAPPY NEW YEAR. Thank-you for the research which you have done. I have only begun to read the blog and the comments. I am doing research for my friend, Betty, who was an evacuee from Glasgow to Dalmore and Knipoch House in the Oban area during WW 2. Betty would be so delighted to connect with anyone who was evacuated from Glasgow to the above mentioned area. I am a Scot who has resided in Canada for many years and I was born during WW 2, but I moved at a very young age to the Highlands of Scotland. If you assist me with how I can do further research for her I would be most grateful.